Large numbers of Scots pine are dying in the dry inner-alpine valleys of the European Alps; in Switzerland, locally almost half the Scots pine (Pinus sylvestris L.) population has died since 1995. As Switzerland’s temperature has increased at more than twice the global average in the 20th century and as most of this increase has occurred during the last 20 years, we investigated possible relationships between the dying Scots pine and climatic parameters. We centred our studies in the upper Rhone valley. 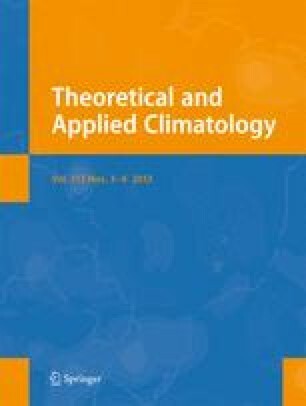 Our results show that the strong climatic warming that has occurred in recent years may well be the indirect cause of the mortality observed in these forests. Tree mortality was highest following the dry and hot year 1998, and tree defoliation, an indicator of tree vitality, showed a strong correlation with the previous year’s precipitation. While precipitation showed no clear significant trend over time, the number of warm days (mean>20 °C, maximum>25 °C) and potential evapotranspiration have significantly increased over the last 20 years. Higher temperatures favour pine wood nematodes and bark beetles, both of which are found at the study site, and increasing drought stress reduces tree resistance against pathogens. As these forests have in part protective functions, there is a need to better understand the mortality through interdisciplinary research and also to find means to change the species composition in order to establish tree species that are better able to withstand warmer temperatures.